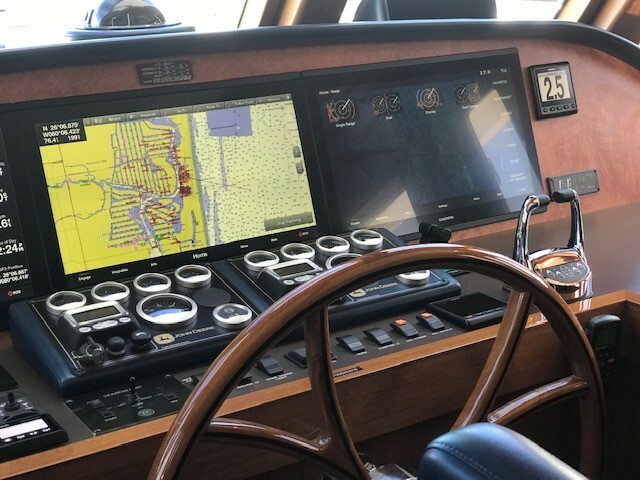 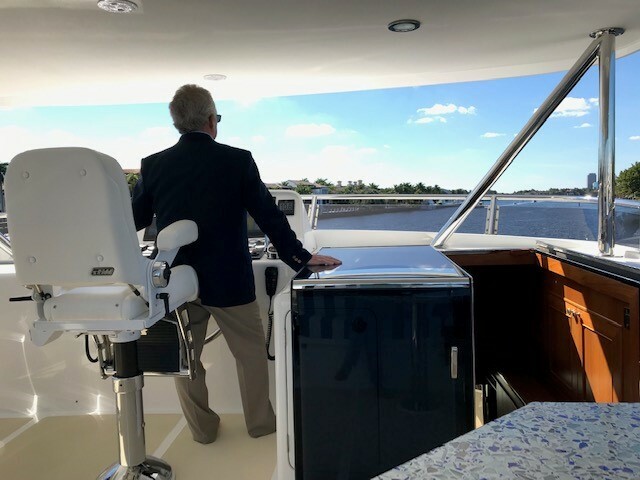 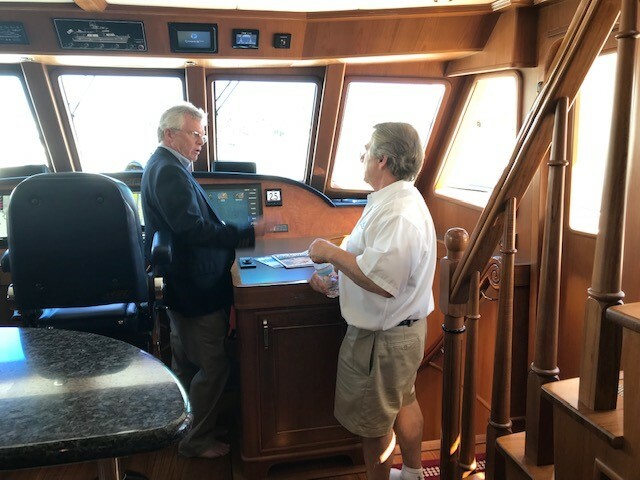 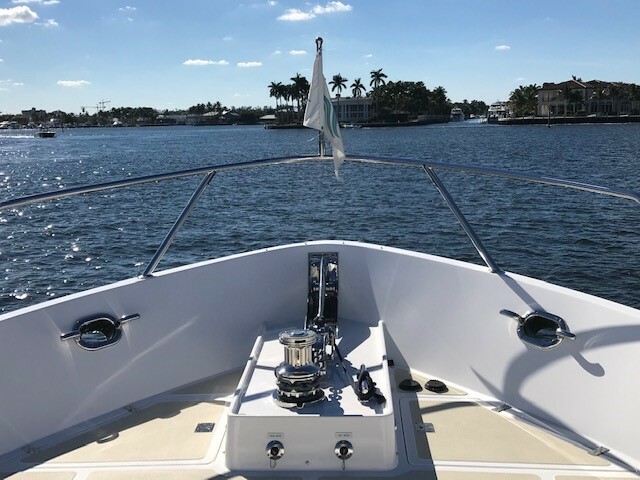 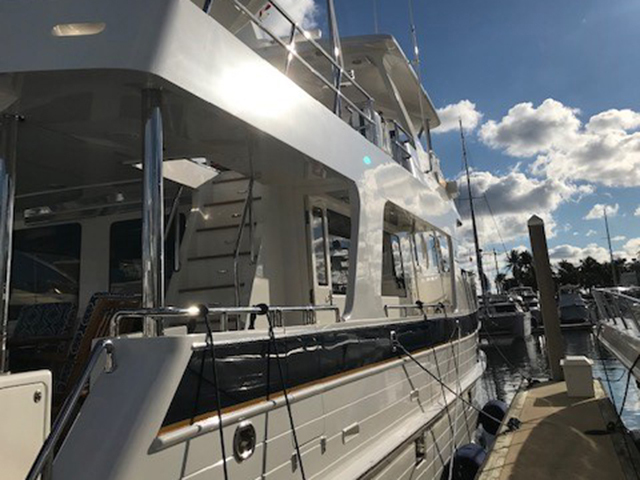 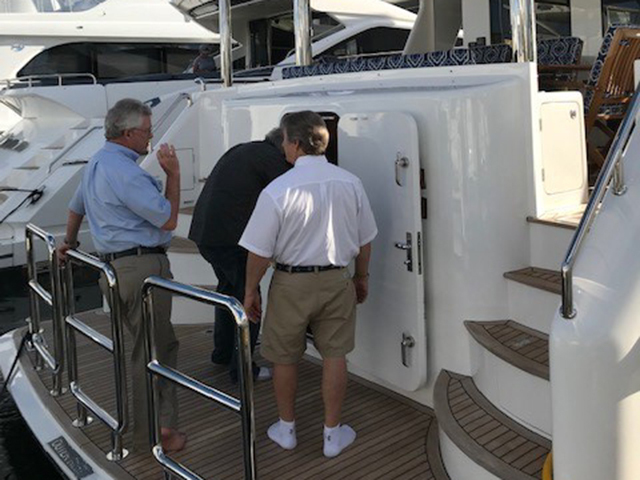 It’s days like this when being "in the office" isn't so bad – especially aboard and working from the spectacular 700 Outer Reef Motoryacht "JULIANNE" while being tested by BoatTest.com. 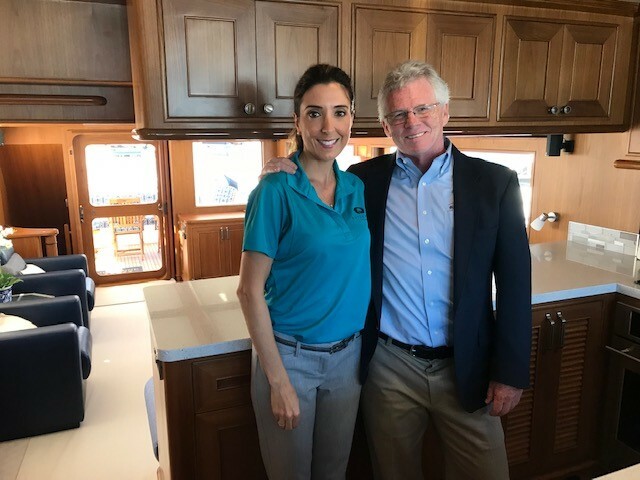 Photographed here are Outer Reef’s Sales Representative Joel Davidson and Director of Marketing Tracy Burgess, who joined forces with BoatTest.com's on-camera personality Captain Steve. 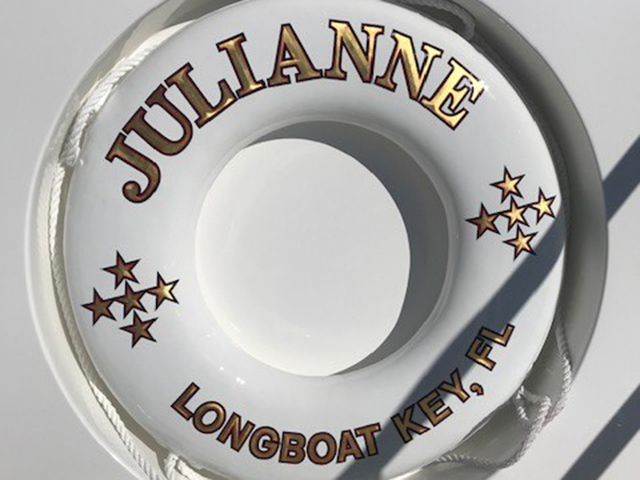 As usual, "JULIANNE" continues to impress and turn heads!